Join OCEG and a panel of experts for the third of four in-depth webinars on the challenges of developing an effective anti-money laundering program. This session addresses the challenges, techniques and benefits of a well designed customer due diligence and monitoring program to prevent or identify money laundering. Join our speakers, Rob Mara of Ernst & Young, and Andrew Yuille of Thomson Reuters as we explore these issues in a roundtable discussion. 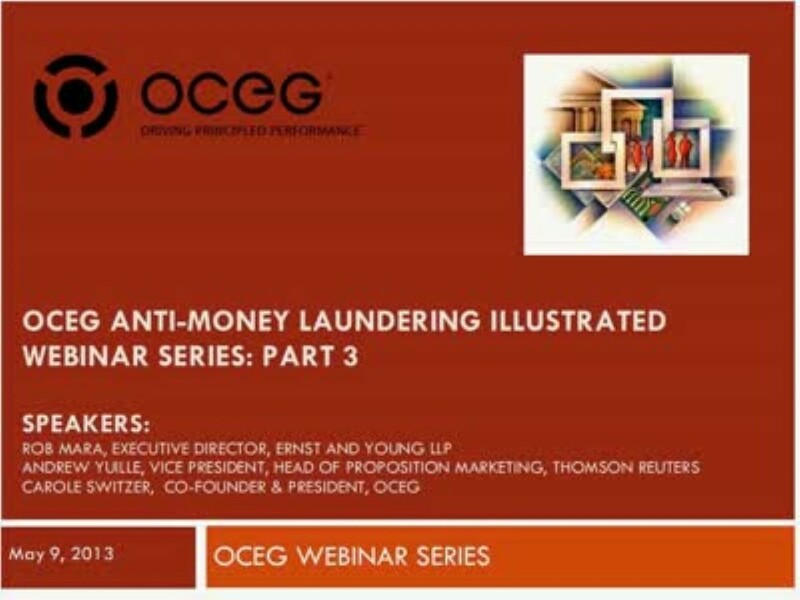 We have emailed instructions to access Anti-Money Laundering Part 3 Slide Deck to . Make sure the email arrives in your inbox: either add "support@oceg.org" as a safe sender to your email platform, or if you use Gmail, drag our email into your Primary tab.